I eagerly looked forward to my 6 week post partum visit with Dr. G. I had not seen him since my hospital discharge day. If all went well I would be cleared to start resuming a full range of activities including lifting things and excercising. 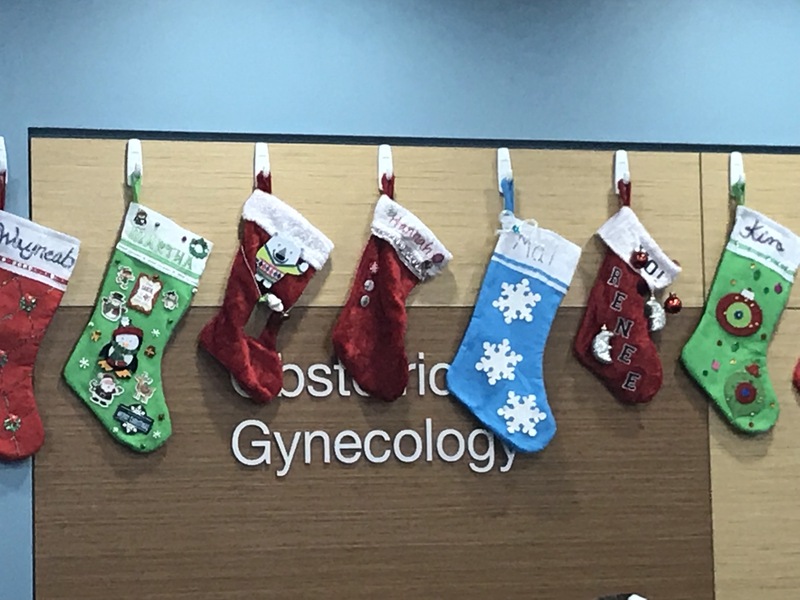 The OB/GYN Department was decorated with stockings of the employees. 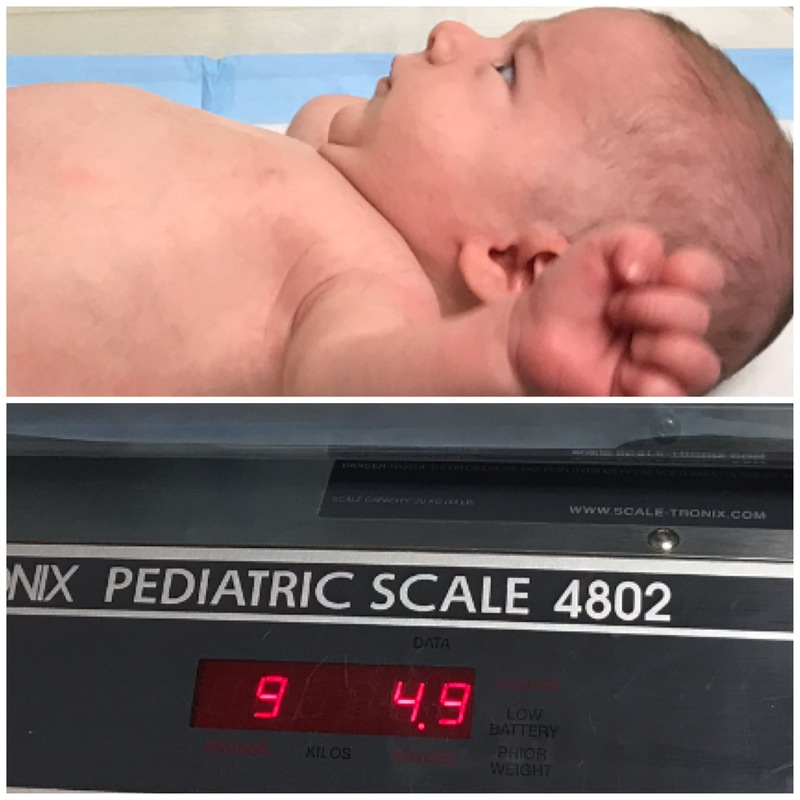 William was not scheduled to return to the pediatrician until January. However, as his nose still seemed stuffed up and he had been sneezing a bit more, we decided to take him to make sure it was not a cold or another condition that needed to be treated, especially as we were leaving for a weekend trip to Pleasanton. This week I had my last two NonStress Tests (NSTs) with Dr. G. Since I was down to my last two appointments I sure to get a quick picture with Candy. As is nor uncommon for me I blinked, yet I like the expression on our faces, so in that way it’s a good photo of the two of us. This week I was able to see Dr. G for the first time in weeks as he returned from some well deserved time off. 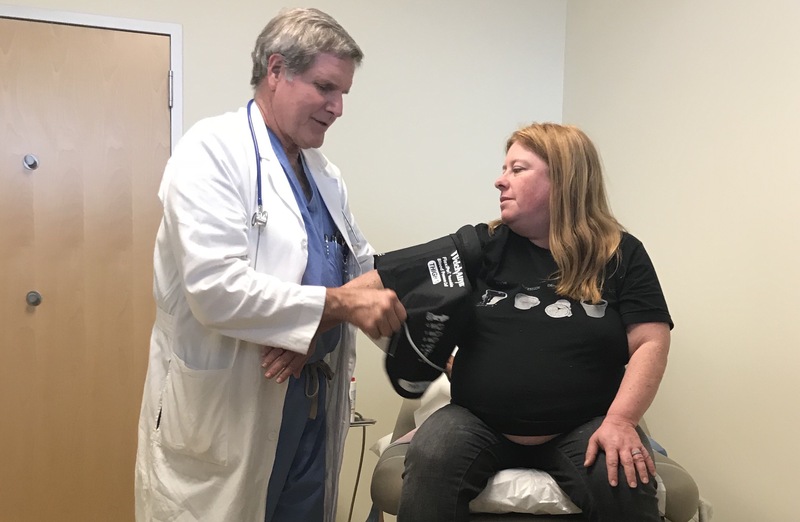 As he is carefully watching my blood pressure, on Wednesday he did his own check for me to verify the results of the automated cuff. 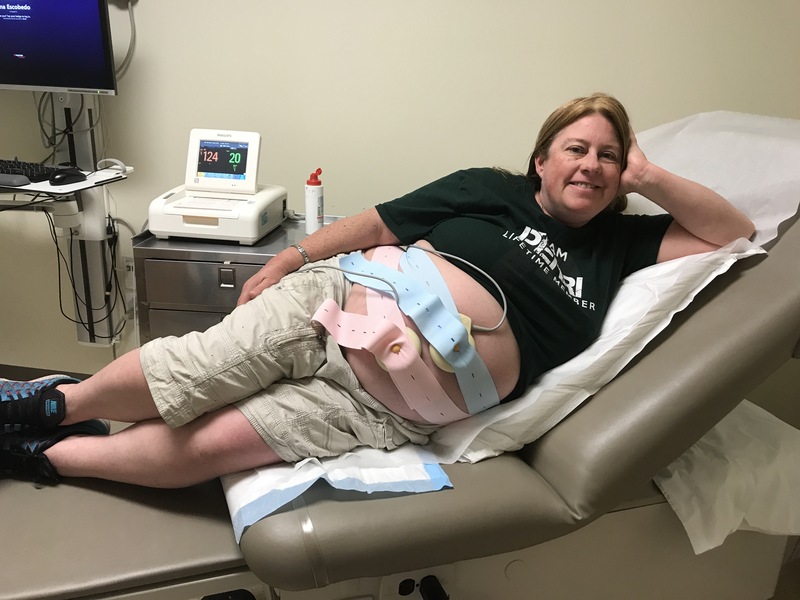 This was an unusual week in that I had three NSTs, only one of which was in my OB office, one of which was originally scheduled, one of which was rescheduled to a new time and location due to results at another medical appointment, and one of which was a special follow up. With Dr. G still taking off some time, I had my first visit with his partner doctor, Dr. E. Dr. E’s nurse has asked where they had heard our baby last, so I showed her pics from my last visit so she could use them as a guide. 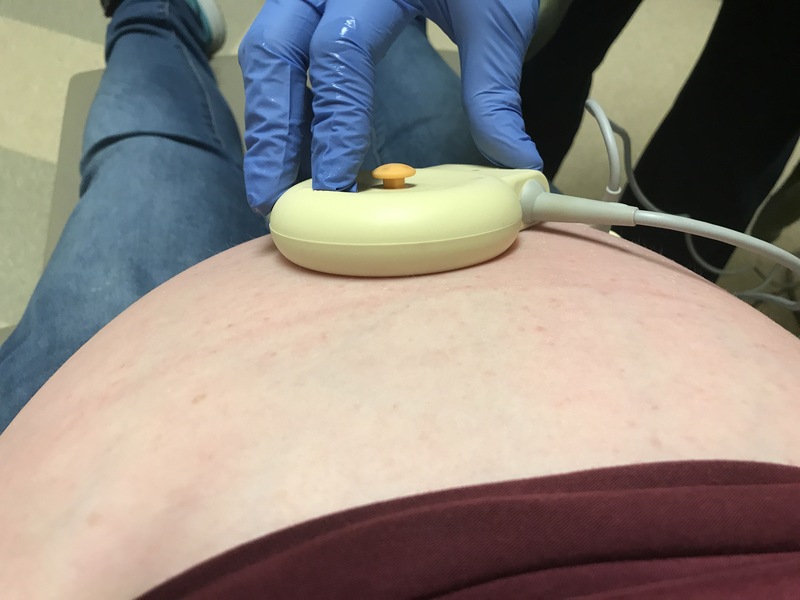 As I’ve previously blogged, with my regular OB taking off some time, I will be seeing other doctors in his practice for the remainder of my pregnancy up until my scheduled Cesarean section. 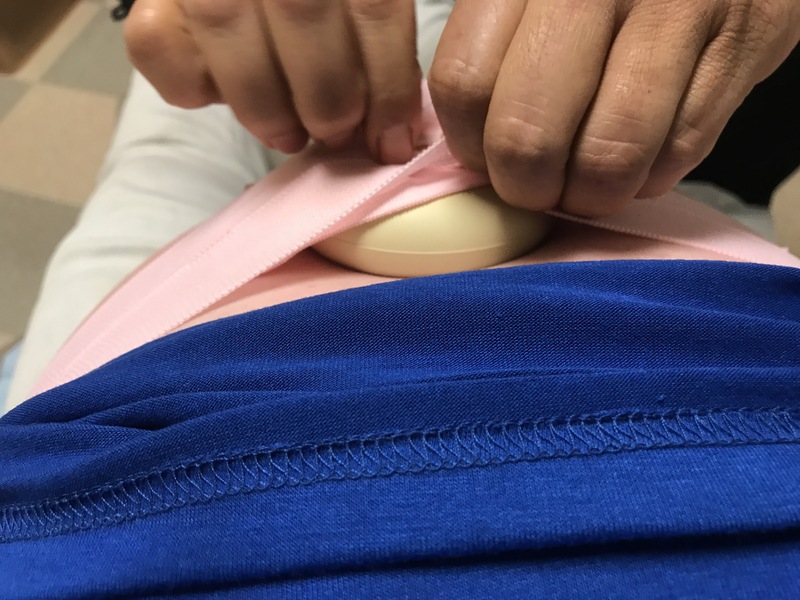 Today my appointment was with Dr. C, so a different nurse set me up with the NST. 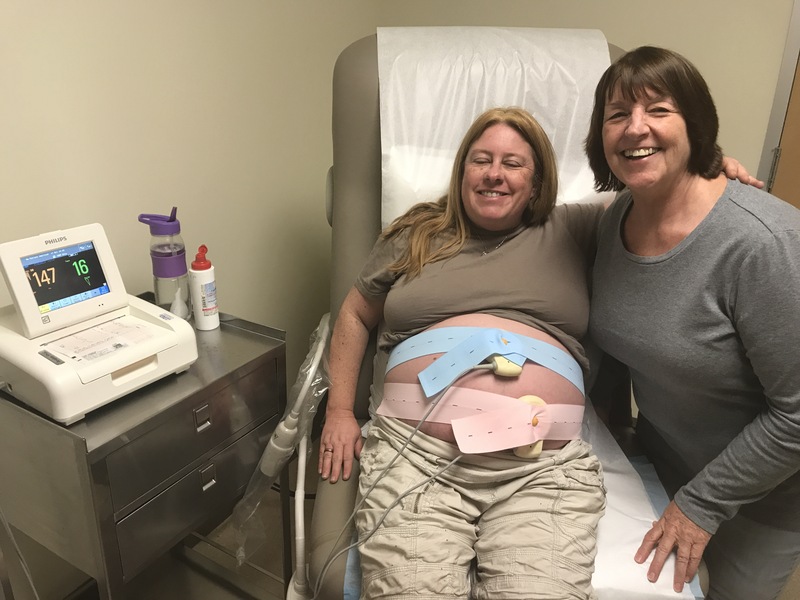 The configuration of the exam room was different from Dr. G’s so instead of being on a raised table the cardiotocograph machine was at my general level, inspiring me to document the experience with some new angles.